Woo-hoo.  Brooklyn Limestone was mentioned in the most recent issue of The Nest magazine. Several pages are dedicated to lovely organizing photos and tips from bloggers of all kinds. Granted, my tip is kind of obvious and common sensy but still...its in black and white. Adding to that excitment is being in the company of some amazing bloggers who were also quoted including Create Girl, Centsational Girl, So Haute, Apartment 34, Young House Love, Simply Grove, Traci Zeller, MadebyGirl and many more. This issue is on newstands until Spring so run out and grab your copy asap. Thanks so much to The Nest for including me (and big kudos for featuring bloggers in general). And if you are an organizing junkie and missed my junk drawer overhaul series, go check it out now. Congrats on the mention-- woo hoo! And don't "fluff" your idea off as common sense. I have found that common sense is NOT that common! I missed your series so I'm definitely going to check it out. I'm going to Target today, so I'll check to see if I can grab a copy! Congrats on being included! Love the Nest! I'll keep an eye out for your mention. congrats, how exciting! i need all the organizational tips i can get! Yeehaw! Congratulations, much deserved methinks! Congratulations! I love seeing fellow bloggers mentioned in magazines and articles...huge payoff! Great to see your press coverage! Congratulations! I've never seen this magazine, but will be on the look out for it... Gosh knows I need organizing tips! I saw your name there when I read it back in December, congrats! It was so fun to see your name in The Nest!